It made me smile, I identified with the scenario described by Oliver Burkeman about a book he had read by Tiffany Dufu called Drop the Ball. It was supposed to be light-hearted weekend reading about how couples delegate, or think they delegate household tasks, not to be taken too seriously. What piqued my interest was the term imaginary delegation; where there is a task that needs doing, which one of the couple thinks the other should have done and then, when it isn’t done feels aggrieved. The partner for their part is bemused and upset about being accused of not doing something that they actually didn’t know they were supposed to do. The scenario was familiar but the phrase was not. Delegation is viewed as a necessary skill for managers and leaders to be effective, but could imaginary delegation be a factor in the miscommunication, conflict and even disciplinary action, which occurs in the workplace? It made me wonder whether there is a difference between imaginary and assumed delegation? What about implied and conferred – either by virtue of office or authority? Then there is the observed and explicit, familiar to most of us; we tell, or ask a colleague to undertake a task for us, hopefully being clear about the task, the expectations of what success would look like and timescales, often described as SMART. 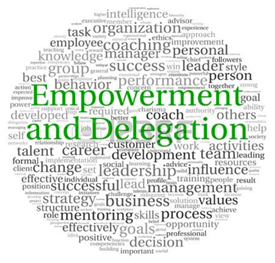 To delegate, is defined in the dictionary as ‘entrust (a task or responsibility) to another person, typically one who is less senior than oneself’. I remember a wise mentor asking me once whether I had delegated a task or merely dumped it on a colleague. She had a point and the more I thought about it I had just wanted to avoid doing the task myself and asked a junior colleague to do it for me. It wasn’t about recognising that this was something more suited to their skill set or their interest, it was that I couldn’t or didn’t want to do the task. Delegation occurs in a context and involves a relationship between at least two people, often defined by the environment within which they operate. Explicit delegation is when one person, usually a senior manager, identifies a task that needs doing and then asks an individual (or team) to do the task. But how does the manager identify who to give the task to? On their skills, experience, capacity or just expediency? Often it will be based on who is available and can be trusted to deliver. If the manager has made valid assumptions about the person in terms of their skills and capacity, then is all will be well. Equally, if the person or team feel able to clarify expectations and timescales in order to be confident about achieving the task, again that’s great. However, if they are not able to express concerns or even refuse to accept the task (either explicitly or covertly) then this sets up the potential for conflict and misunderstanding. How often have you been disappointed when deadlines are missed, or the final outcome is poor? The question to ask may be is that if you knew that this team/ person is capable of doing the task set, how would you make sure that they could deliver? Implied or conferred delegation (by virtue of job role) is another thing altogether. We all make assumptions about what we can reasonably expect staff and teams to do and that they will have a certain level of competence to do this. This is effective leadership, where teams and individuals feel empowered and trusted to get on with their work because they know what needs doing and when and how to do it. However, as Burkeman described, assumptions are tricky things and often lead to misunderstanding. A recent report by Six Seconds identified that the most frequent issue cited by respondents in organisations that lead to frustration was a lack of communication by poor leadership and management, which in turn inhibited trust and change. Constantly having to interpret what is required of you, as Burkeman illustrated leads to all sorts of assumptions, feelings of anxiety and misunderstanding. Leaders can prevent this by creating an environment which encourages openness and honestly. Ask questions to promote a sense of equality where other people’s views are valued and listened to. 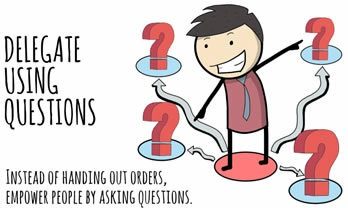 Provide the opportunity to clarify those assumptions that lead to misunderstanding and confusion so everyone can perform to the best of their ability without worrying about whether they are doing the right thing, whether they really have understood what was required of them or whether it was good enough. This has the added bonus for the organisation of saving time and energy, leading to greater productivity, less illness, higher retention rates and a generally happier workforce. It dismantles false information, often generated by assumptions and instead creates an environment that says to the workforce, you matter and are so important to the organisation that you need explicit instructions so you can do a good job. In creating this culture, you will transform the way you work, from how meetings are organised to how you support people. Find out more.